Pre-printed traditional award rosette in stock for immediate shipping. 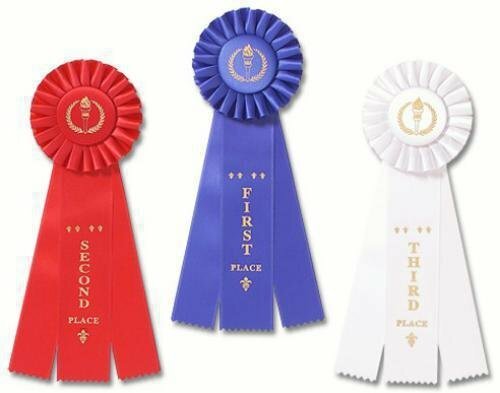 These classic award rosette ribbons are pre-printed with gold foil in a timeless traditional design. Our single streamer rosette features a 4" diameter pleated top, event card, string and a 2" wide streamer. Overall length is approximately 11 1/2"
Pre-printed traditional award rosette in stock for immediate shipping. 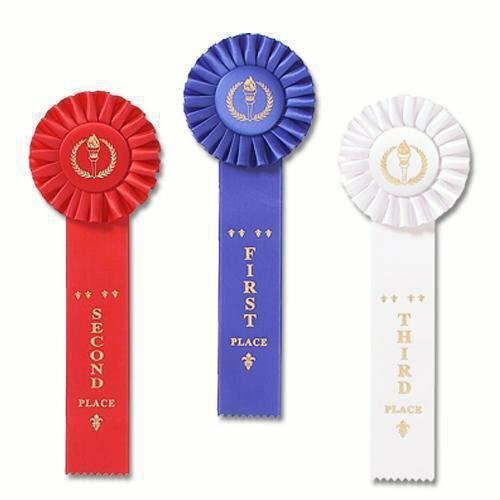 These classic award rosette ribbons are pre-printed with gold foil in a timeless traditional design. Our three streamer rosette features a 4" diameter pleated top, event card, string and a 2" wide streamer. 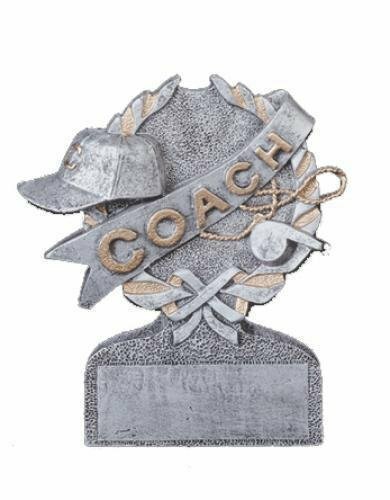 Overall length is approximately 11 1/2"
These coach multi color sport resins give you two options for your award needs. 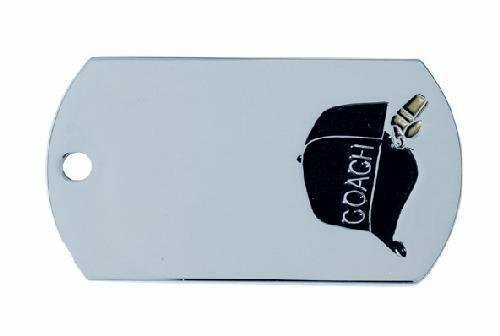 Both of the awards showcase coaching icons of a whistle, hat, and a banner that goes across the face of the award that says "Coach". 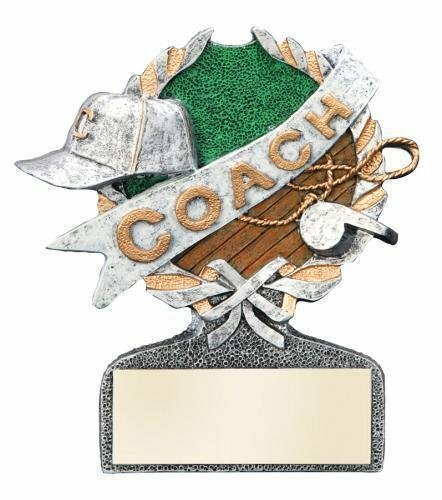 You can either chose the gold and pewter finish where the gold highlights different elements within the award or the full color version where gold and pewter highlights the whistle, cap, and the "Coach" banner all of this is set against a detailed wood color of a court and green background of a field that complete the look. A wreath with a bow at the bottom bring the entire award together. 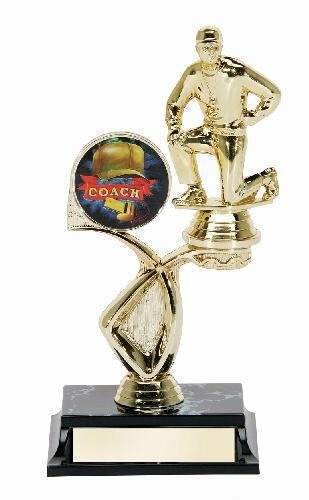 Standing 5" tall with plenty of room on the base for your engraving needs is sure to make either choice a something that the coach will remember for years to come. Shooting stars make their way around the outer edge of this color baseball medal to add a dynamic look. 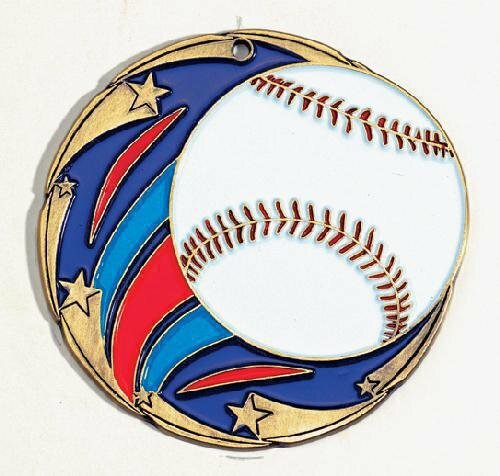 Colorful markings give the white with red stitched baseball the appearance of moving across the medal. These medals are 2 1/2" in diameter and are available in gold, silver, or bronze. Plenty of room on the back for engraving. Just add a ribbon to complete this award. 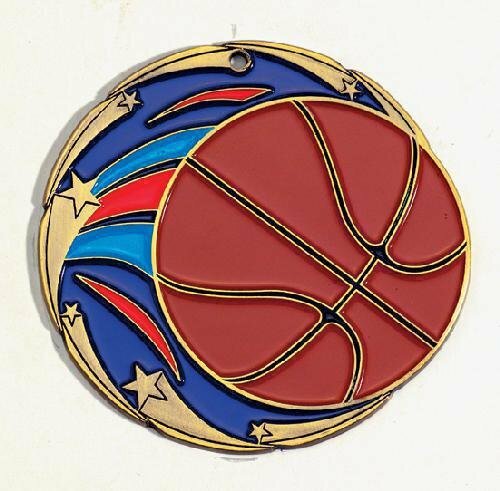 Shooting stars make their way around the outer edge of this color basketball medal to add a dynamic look. Colorful markings give the basketball the appearance of moving across the medal. These medals are 2 1/2" in diameter and are available in gold, silver, or bronze. Plenty of room on the back for engraving. Just add a ribbon to complete this award. 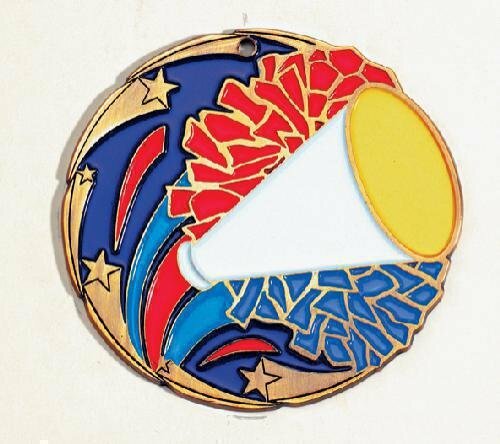 Shooting stars make their way around the outer edge of this color cheerleader medal to add a dynamic look. Colorful markings give the megaphone, and pom poms the feel of game time excitement. 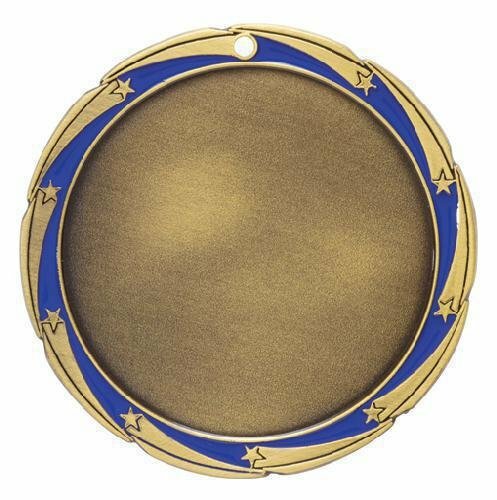 These medals are 2 1/2" in diameter and are available in gold, silver, or bronze. Plenty of room on the back for engraving. 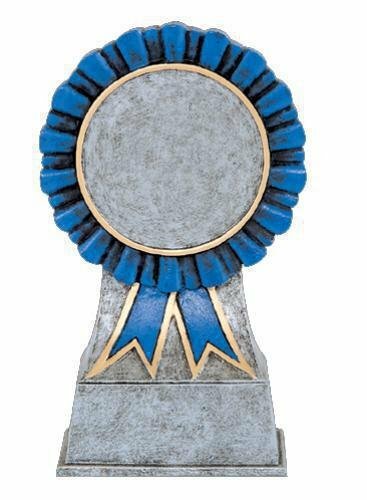 Just add a ribbon to complete this award.